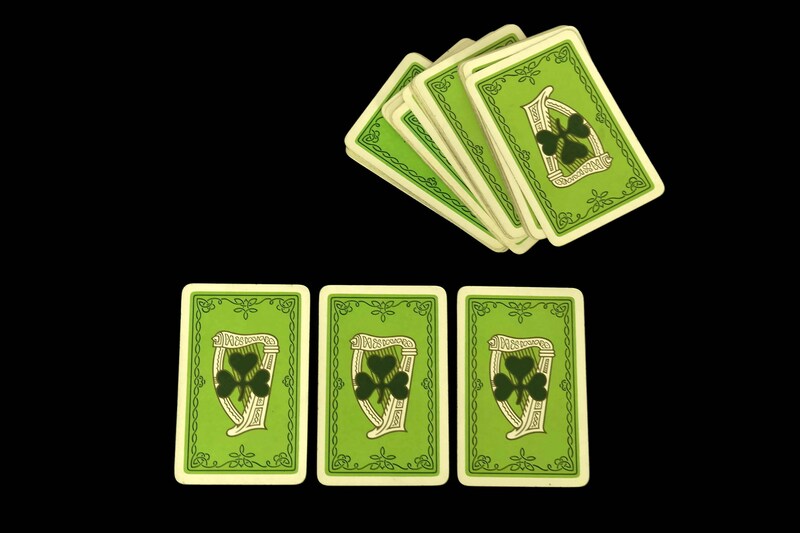 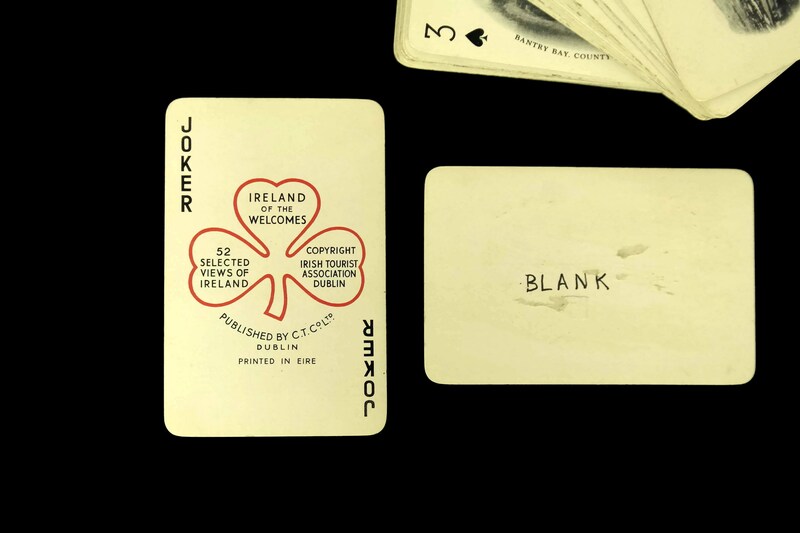 A perfect vintage St Patrick's gift of a souvenir deck of playing cards. 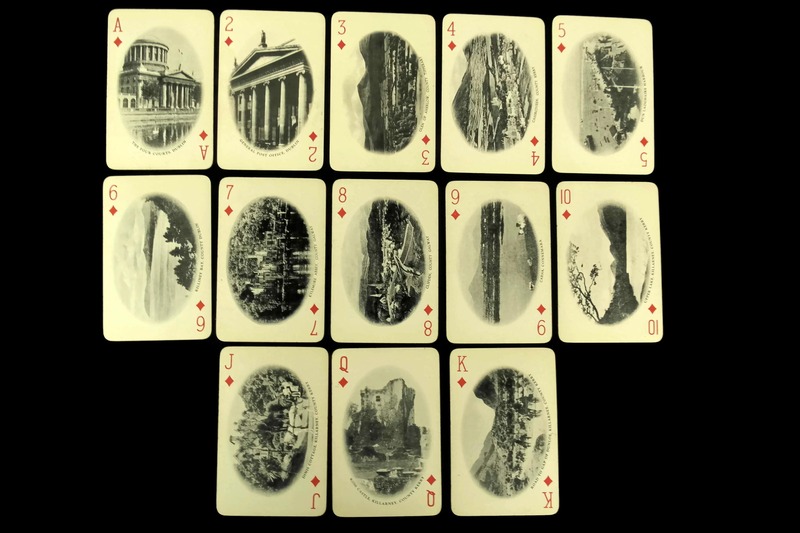 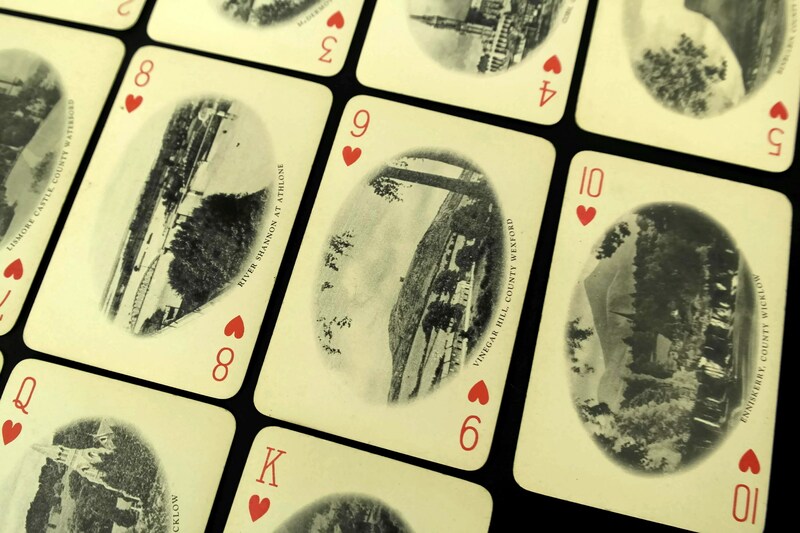 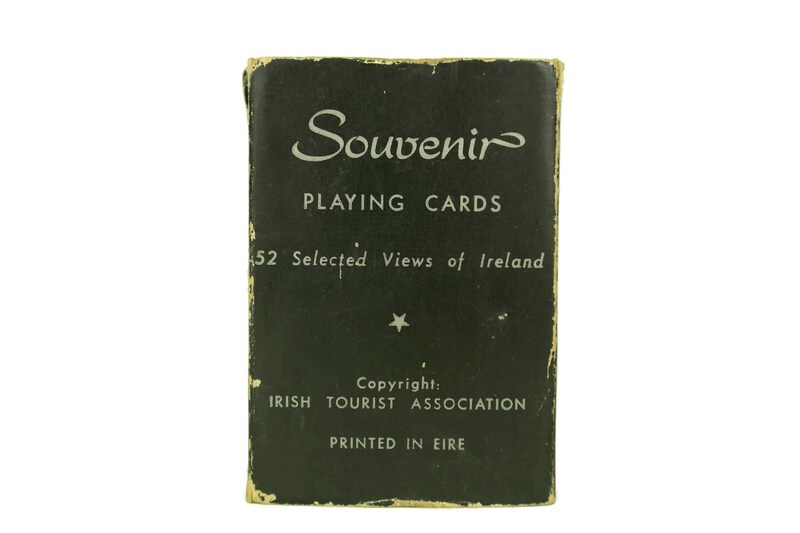 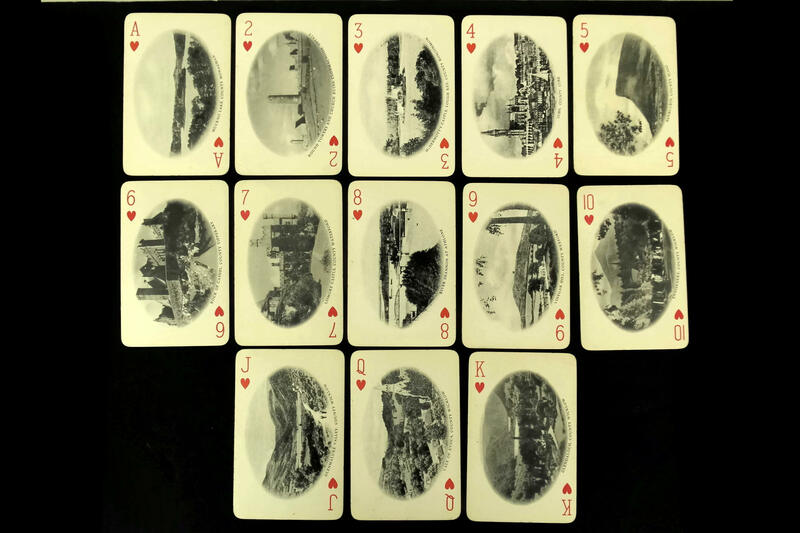 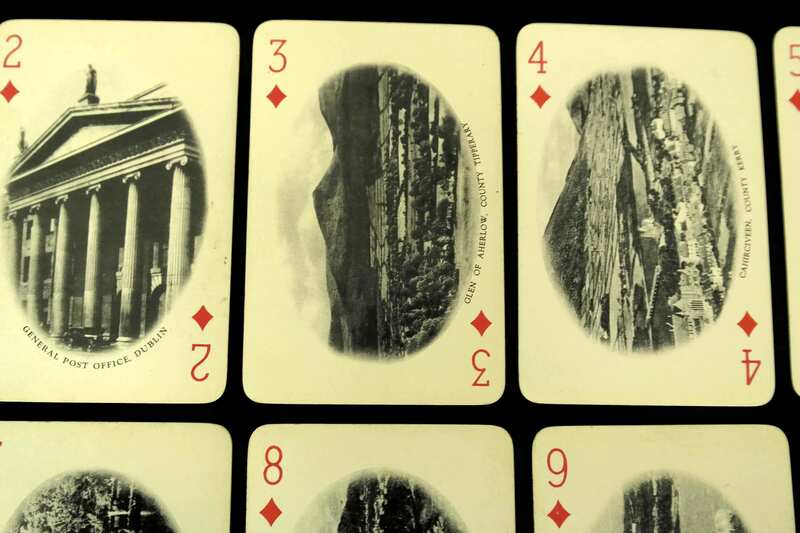 Published in the 1950s by the Irish Tourist Association, the pack of cards features views of Ireland. 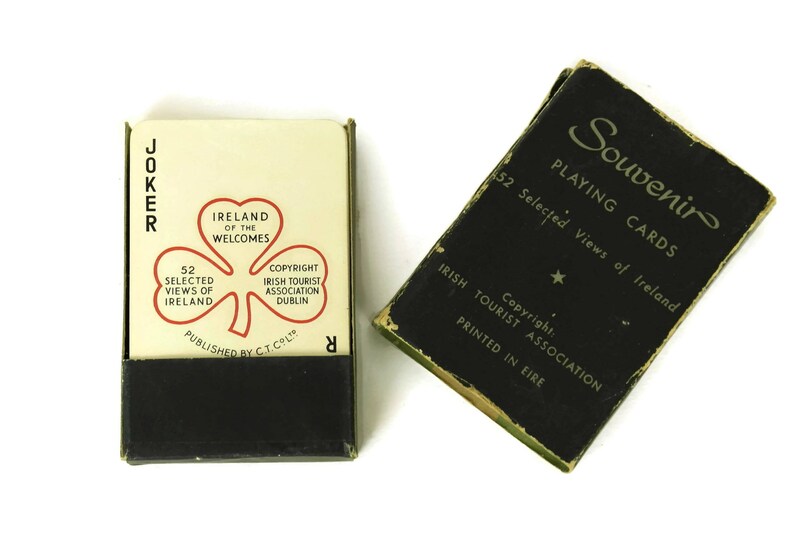 They come presented in their original box. 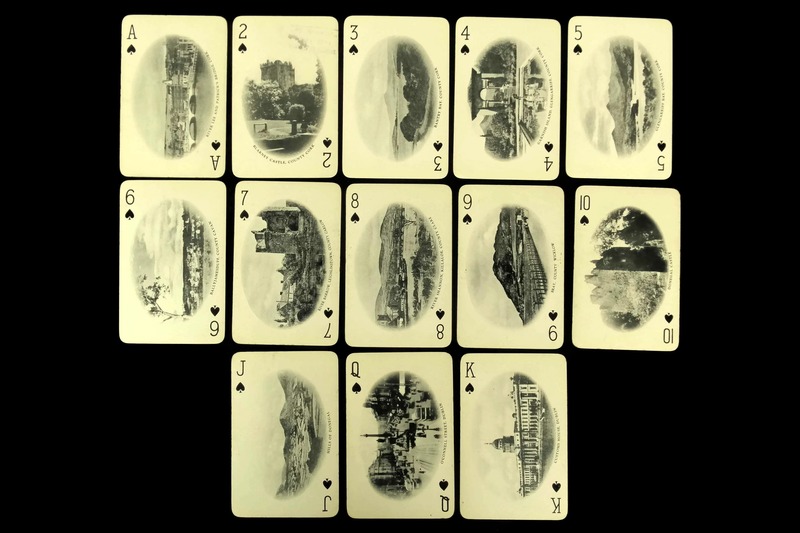 Each card is 3 1/2" Long x 2 1/3" Wide (9 cm x 6 cm). 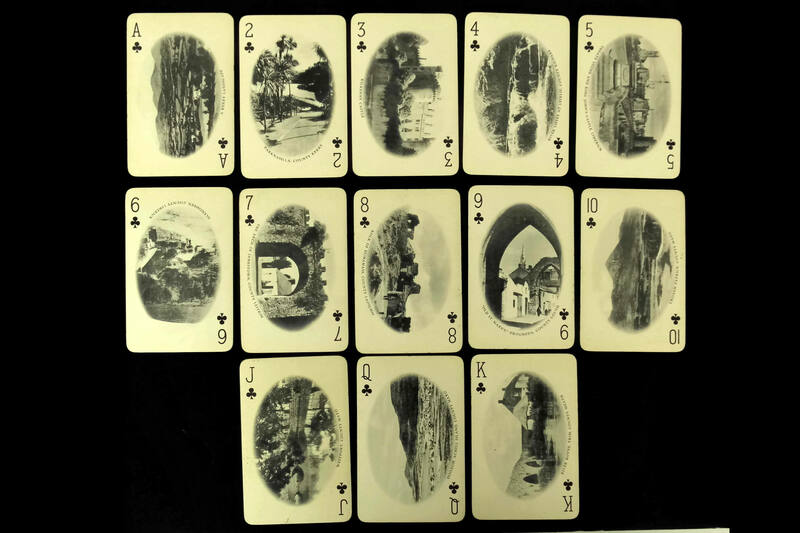 The deck of playing cards in good condition with wear and signs of age to the box.